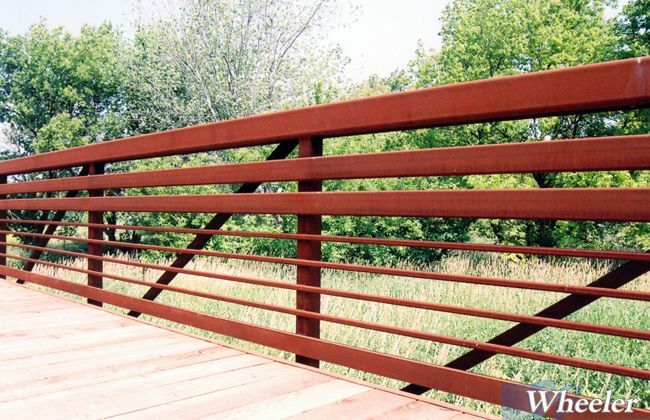 Two common steel finishes are weathering steel or paint. 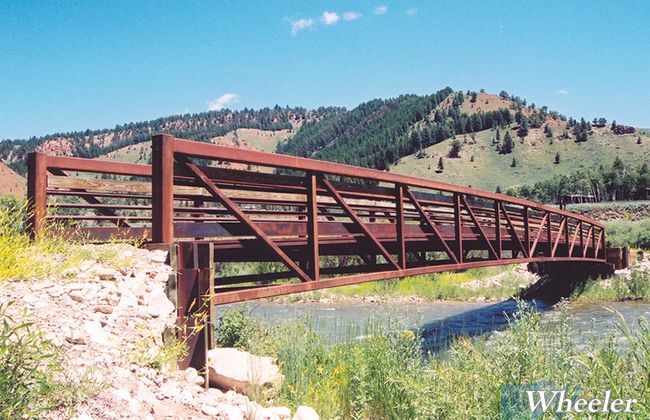 Atmospheric Corrosion Resistant Self-Weathering Steel is a special formulation that develops a protective oxide patina. 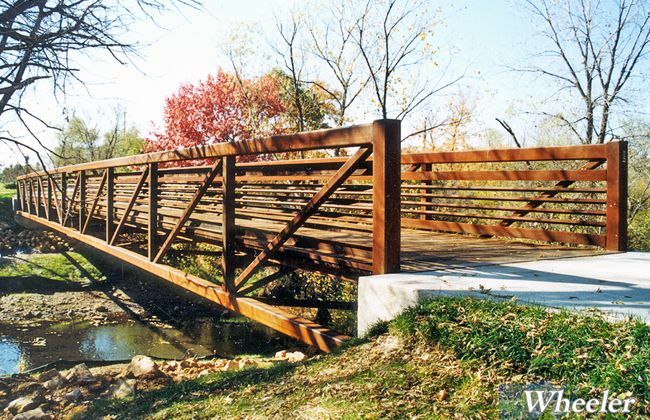 Under acceptable atmospheric conditions the steel “rusts” to a patina, eventually stabilizing and protecting the steel from further corrosion. 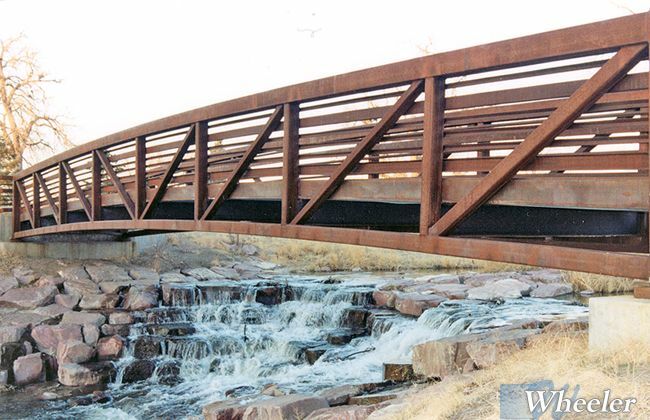 Weathering steel provides an economical choice with a rustic appearance and relatively little maintenance. 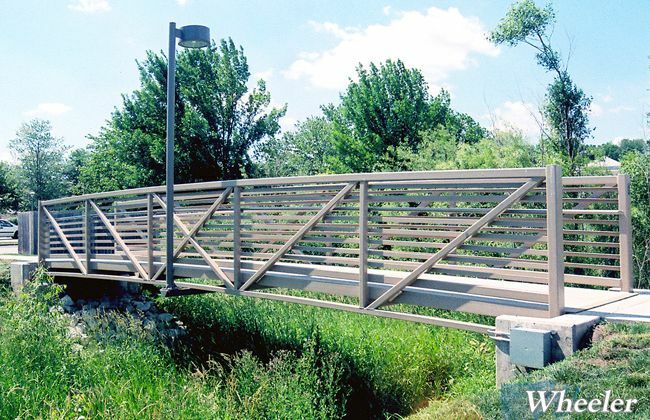 The bridge will never require re-coating and can be sand blasted to remove graffiti. 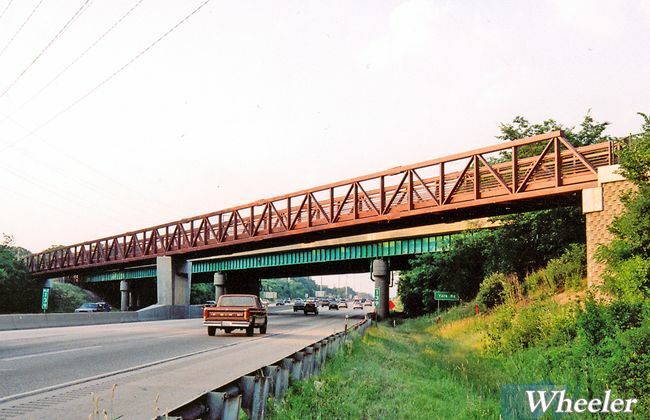 It will simply rust again in the affected area. 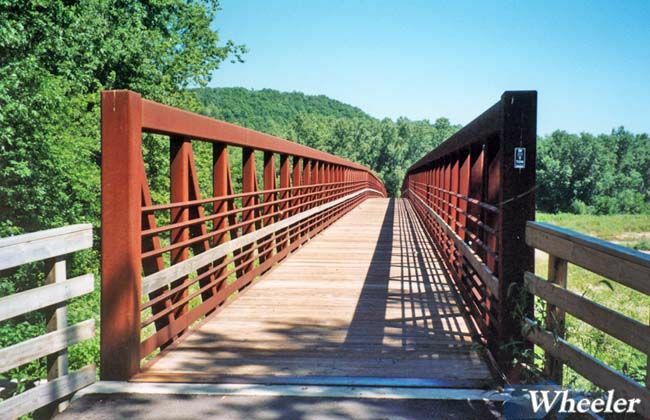 Precautions with weathering steel include rust staining in runoff areas below the bridge, and avoiding salt-laden atmospheres (coastal areas or bridges over highways requiring winter maintenance). 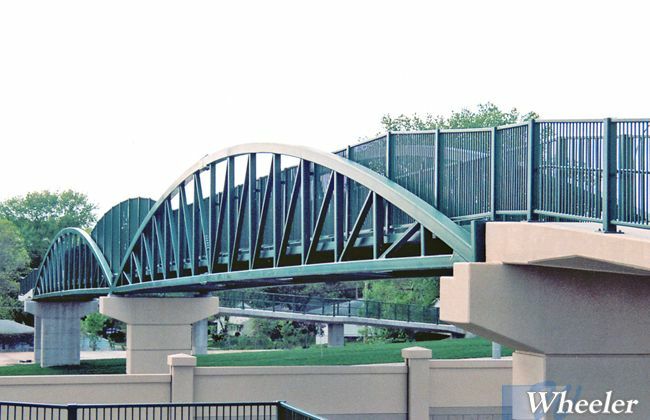 Placing deicing agents on bridge decks for winter maintenance has shown to be severely detrimental to weathering steel components. 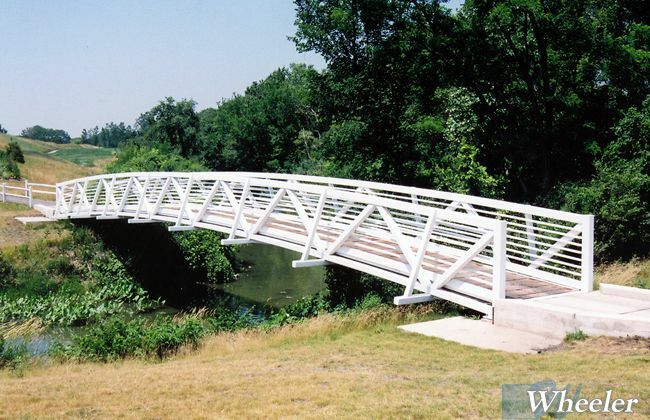 Bridges subject to winter maintenance requiring the placement of corrosive deicing chemicals should be detailed with painted or galvanized floor systems. 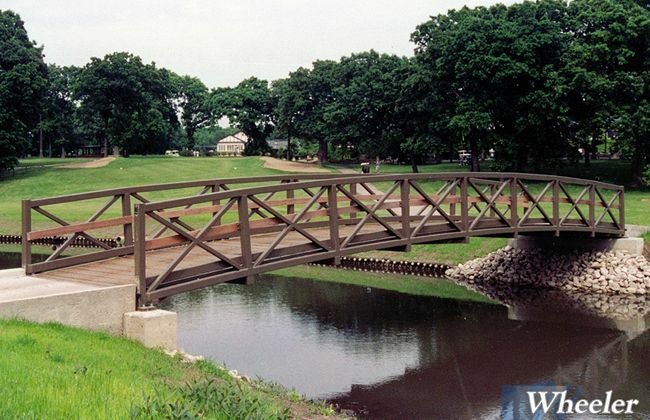 Fertilizer over-spray can also result in excessive rusting of weathering steel. 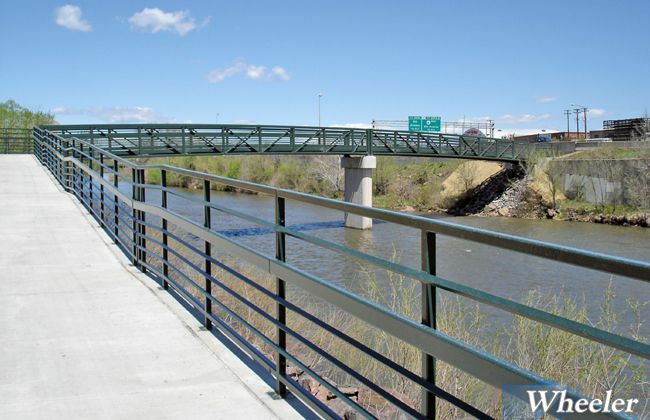 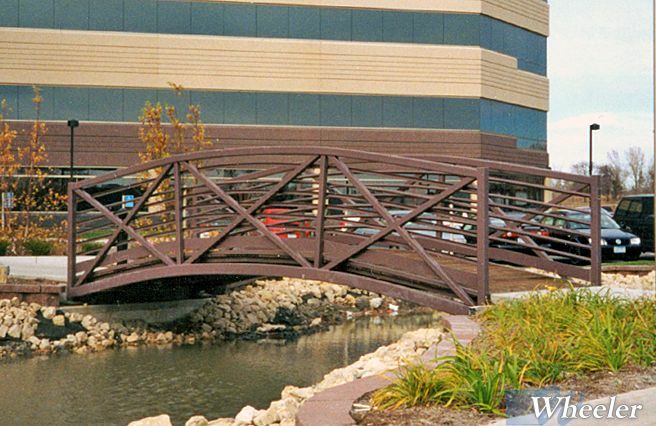 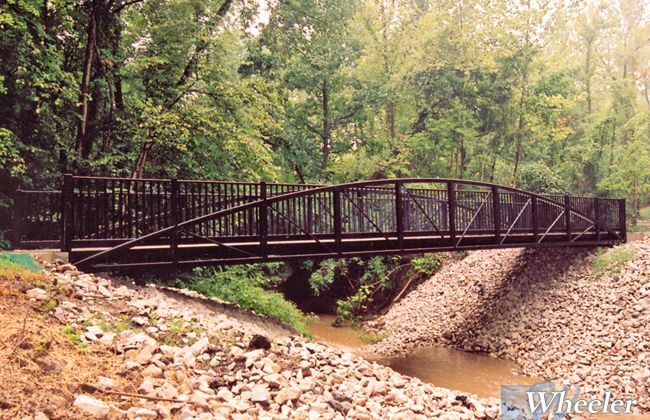 Painted bridges can be considered for applications where weathering steel is undesirable. 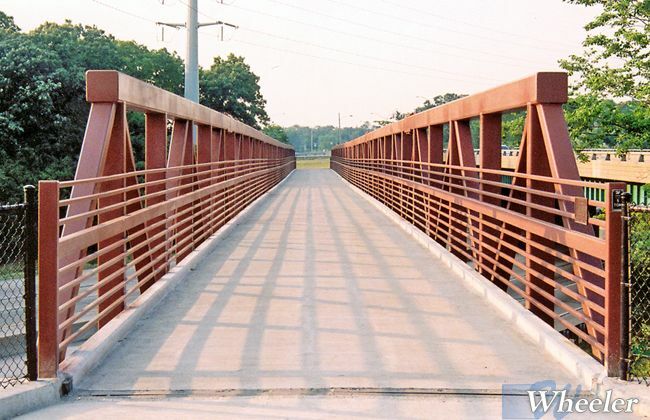 Many two and three part paint systems used for other highway applications are available in virtually any color. 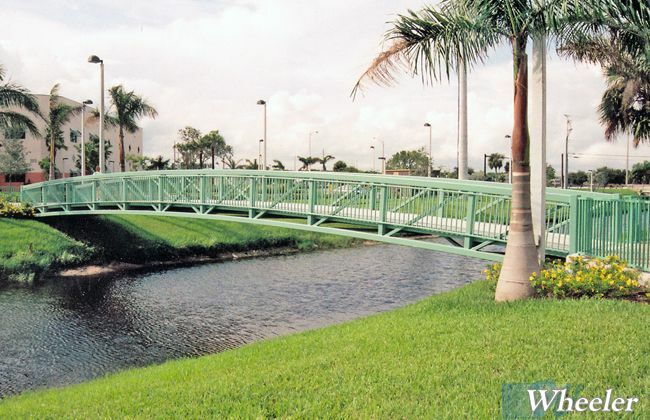 Most paint systems are rated for 10-15 years of service.